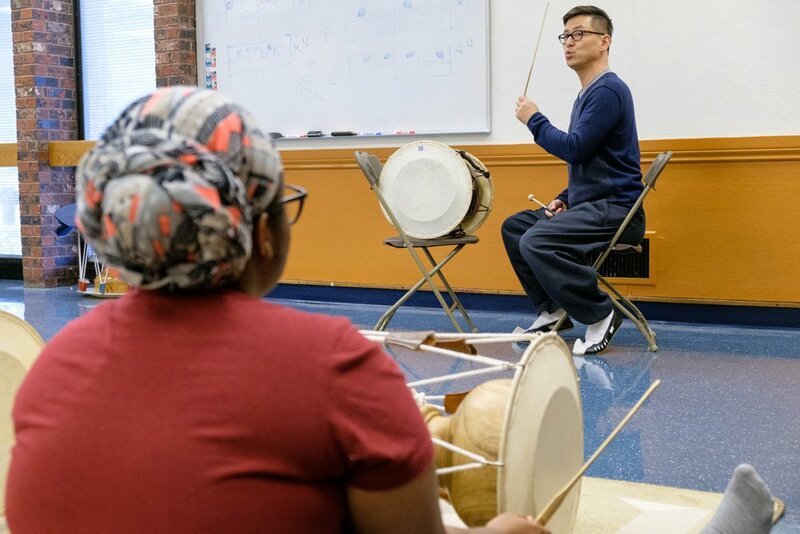 Having enjoyed much public support in our twenty years, Ensemble Jeng Yi wishes to give back to the community by providing opportunities for people to learn Korean drumming and to perform in a large community drum group called the Ironflower Drummers. This community group evolved from a 2016 Artists in the Library project at Hillcrest Library, funded by the Toronto Arts Council. When this residency ended, the participants urged Charles Hong, the lead artist, to continue the classes. With funding from the Toronto Arts Council and the Ontario Arts Council, we have been able to transform an eager group of 15 into a growing community of over 30 members. Interested in learning Korean drums?